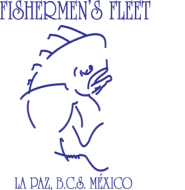 Located on the Pacific Ocean side of the Baja Peninsula, Bahía Magdalena, or Mag Bay, is one of the most legendary yet remote fisheries in North America. This 30 mile long bay, famous as a home to the gray whale during its southern migration, is formed by two sandy barrier islands named Isla Magdalena/Isla Margarita and provides incredible inshore and offshore fishing. We are able to accommodate up to 6 people total at Island Guest House. Both boats can be assigned to a single group. Custom Panga trips also available upon request for those interested in fishing outside of our normal 5 month season.